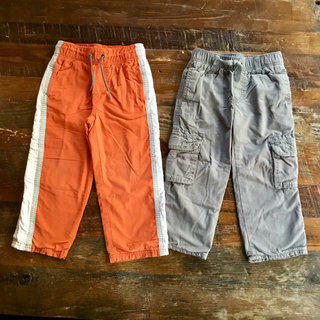 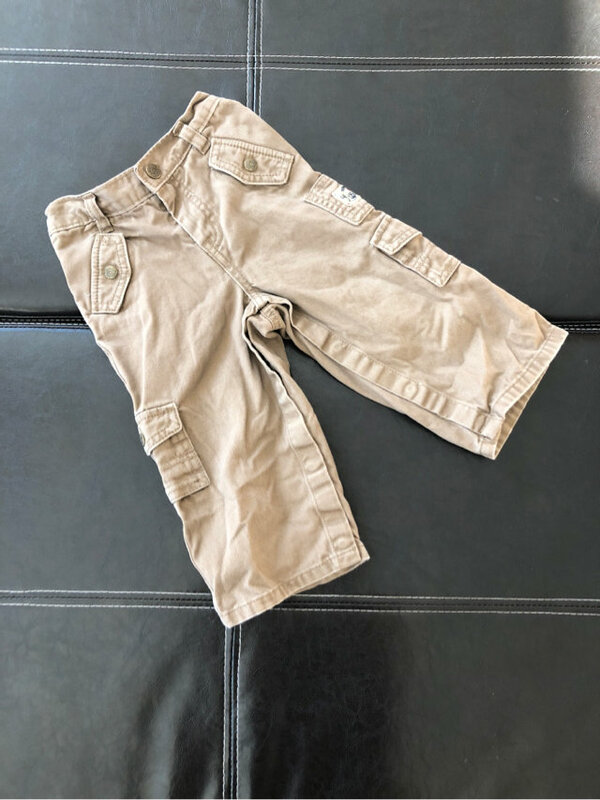 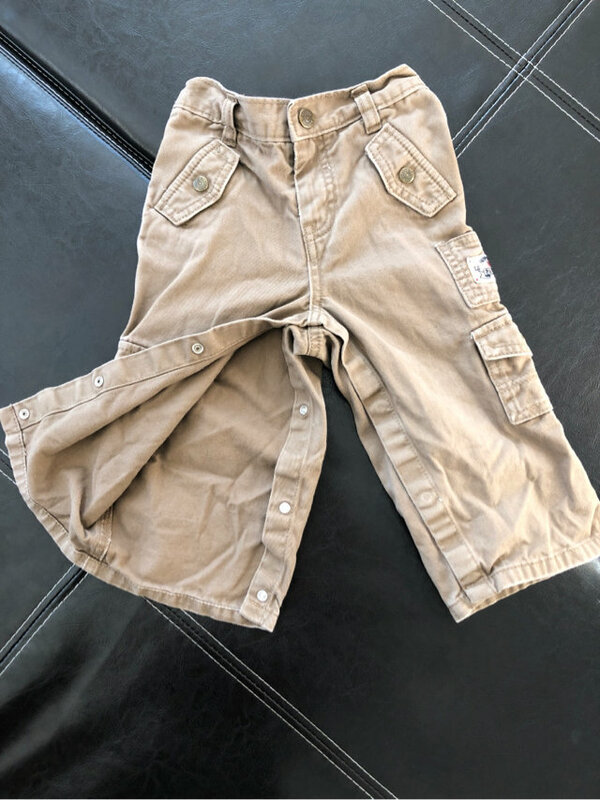 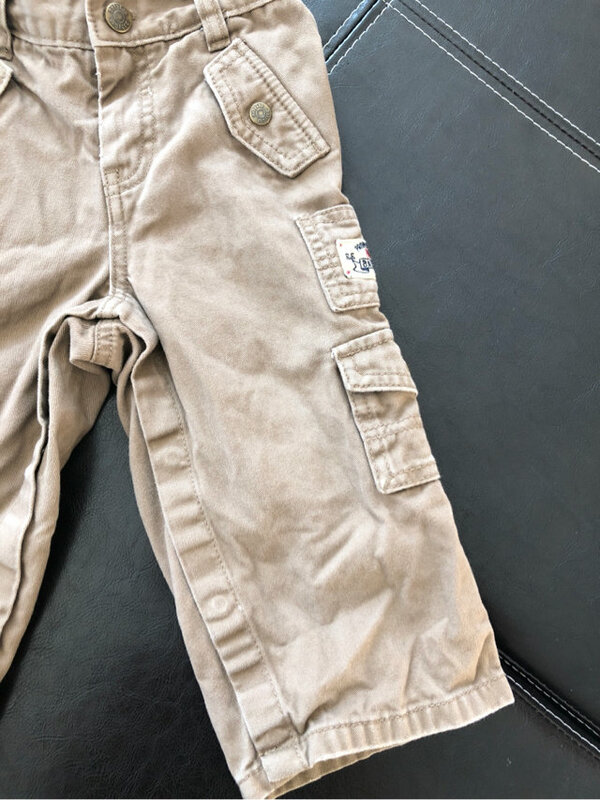 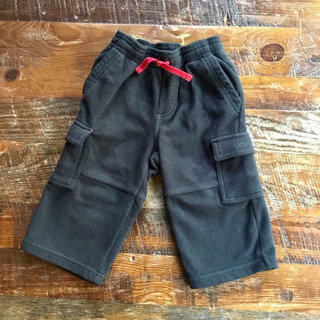 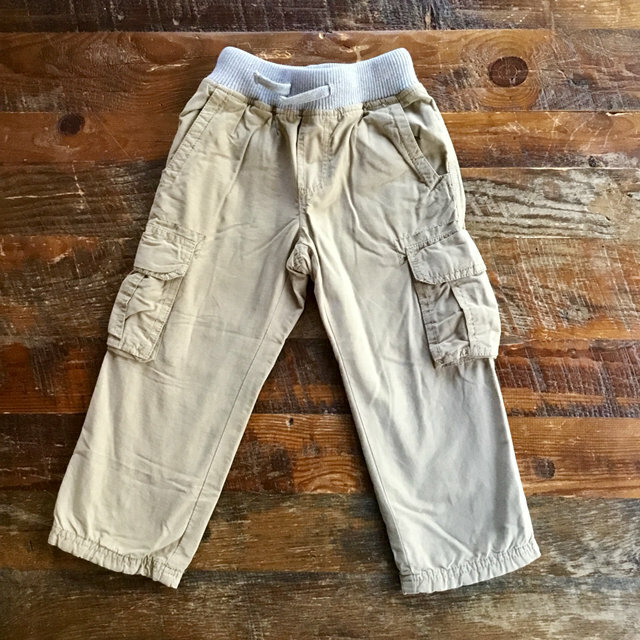 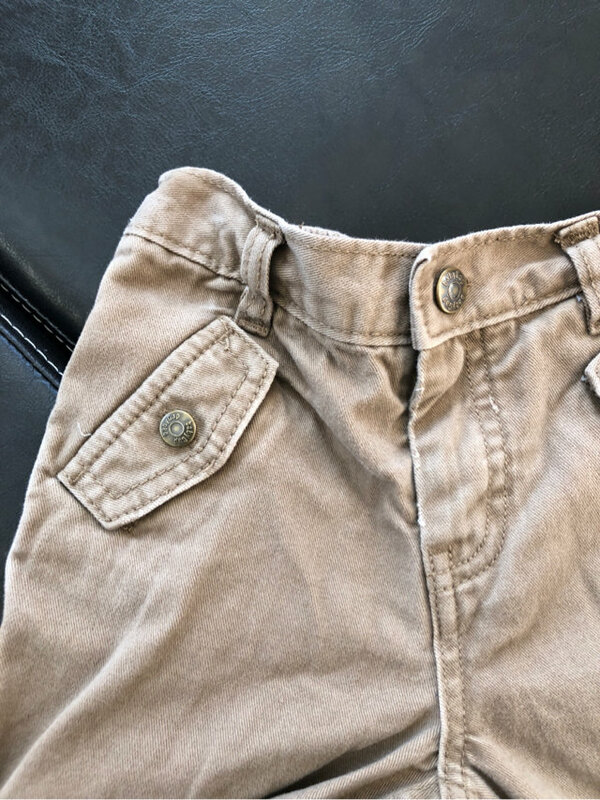 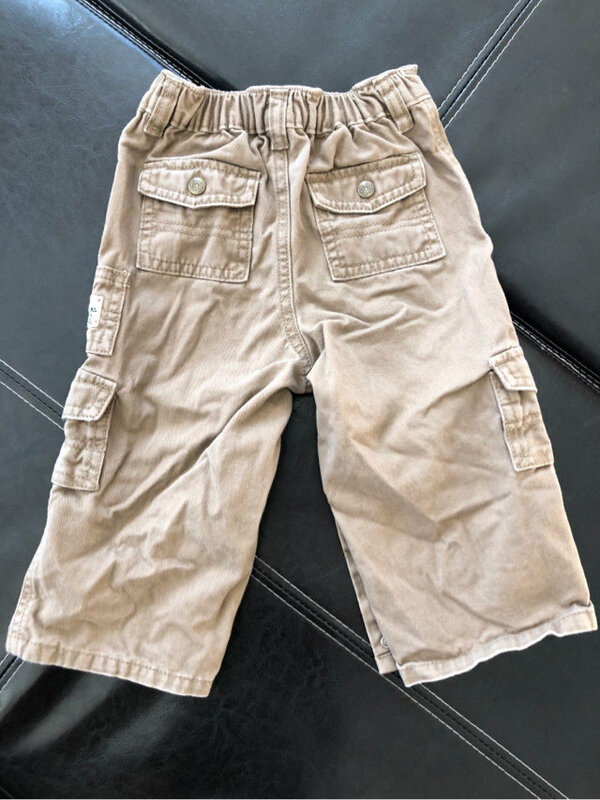 These are a cool pair of brown cargo pants by Baby Gap. 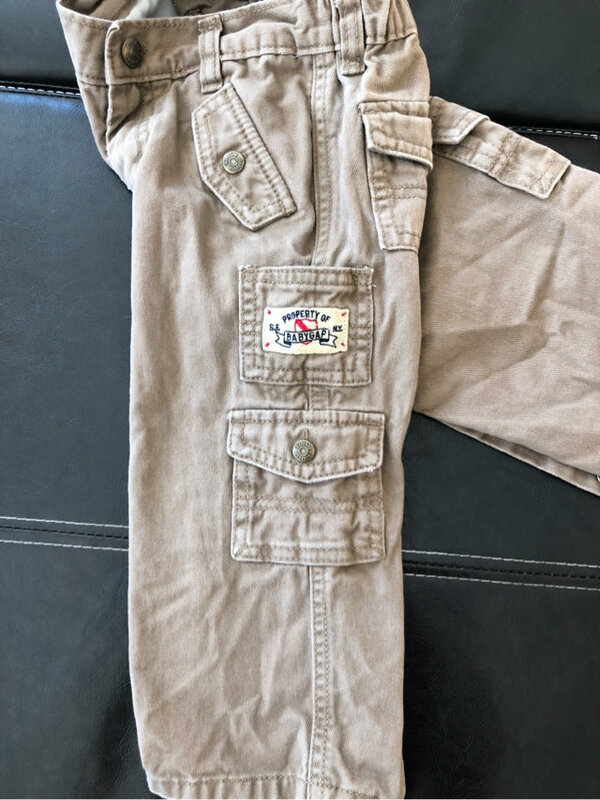 Each side has pockets on the leg, as well as at the top. 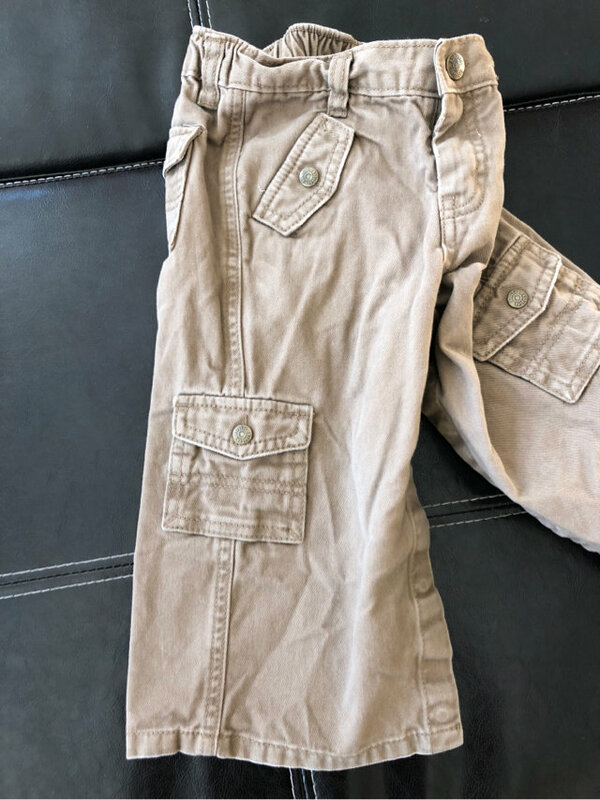 Two back pockets as well. 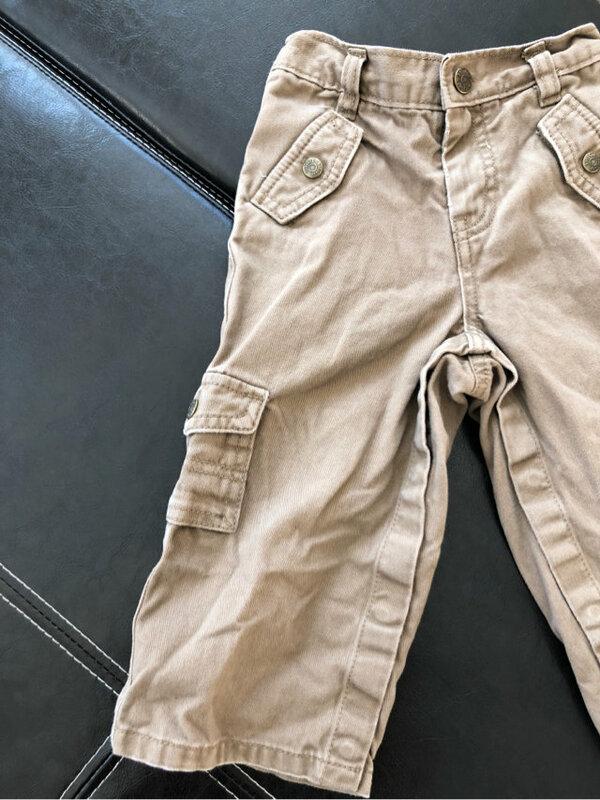 Snaps between to legs for changing them. 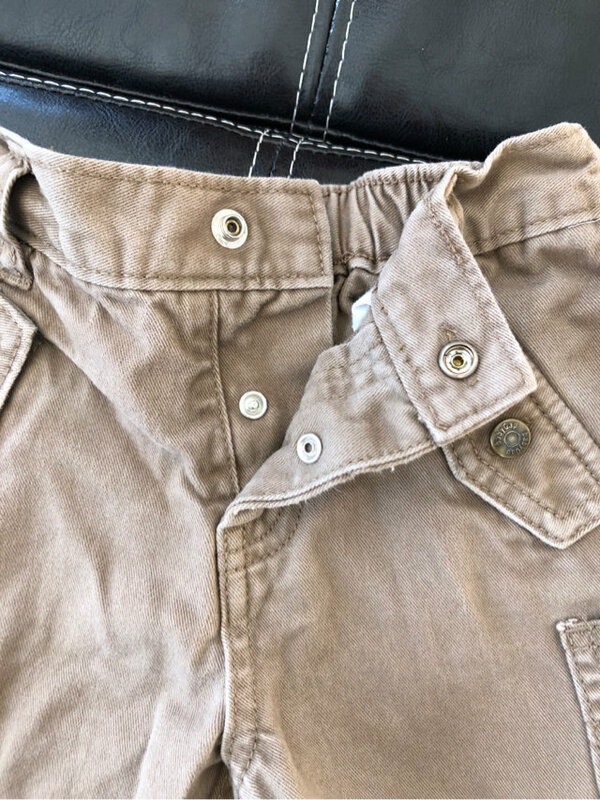 There are 3 buttons for closure at the waist. 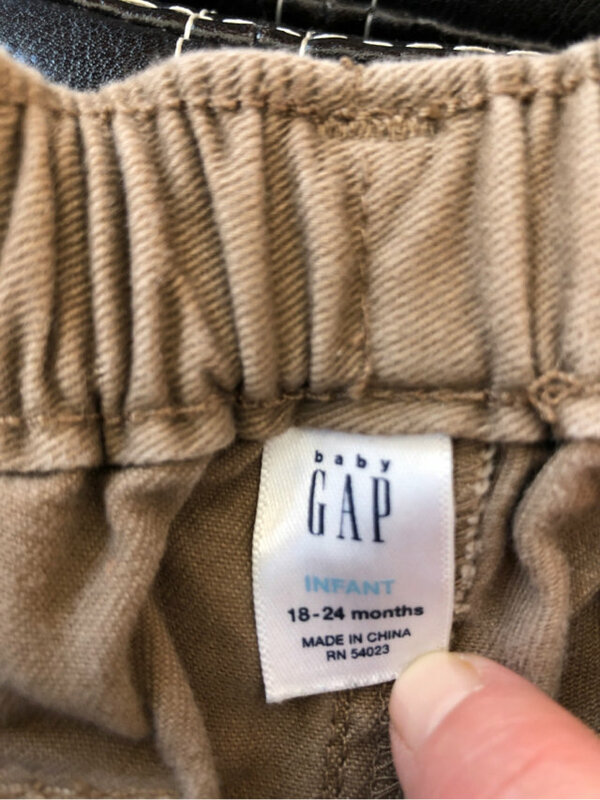 Size is 18-24 months. 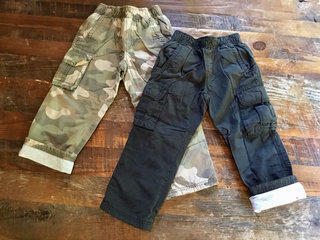 These Pants Really Make My Cargo!